FOTC spells Flight of the Conchords, for the uninitiated. In honor of the season finale, which has made Sunday nights much bleaker all around... How many FOTC fans do we have out there? Oh Flight of the Conchords. I'm sad to see them go, but I think it's admirable that they KNEW the second season just wasn't as good and they know when it's time to pull the plug. I would love love love to see them in concert though. bib FOTC fan. 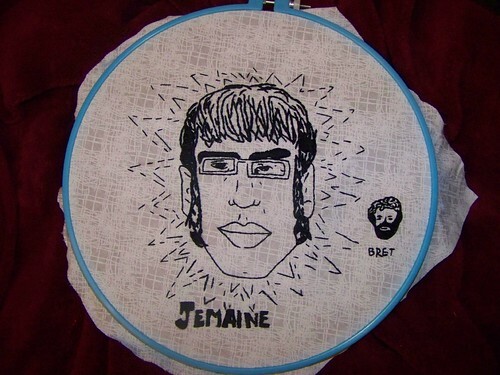 I made a jemaine shirt..great job! Poor Brett. He's so tiny.